International Surrogacy – Look before you leap! 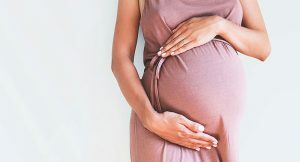 International Surrogacy has once again been put in the media spotlight, after recent events, such as the arrest of multiple women in Cambodia on the charge of human trafficking and a recent expose on the burgeoning surrogacy industry in the Ukraine. The Surrogacy Act 2010 (NSW) sets out that surrogacy in New South Wales is legal. However, intended parents seeking relief under the Surrogacy Act must pass through a number of hoops. These include but are not limited too; the surrogacy being altruistic, the arrangement being in writing, counselling and legal advice. This often results in the costs of surrogacy being significant, and more often more than what most intended parents are prepared to pay for. Couples often also encounter significant difficulty in finding a surrogate to carry their child. As the Surrogacy Act specifies that the surrogacy must be altruistic, this limits the number of candidates that would be prepared to carry a child for the intended parents. It is our experience, that in a majority of circumstances, these candidates come from family members, best friends, or distant family members. Unfortunately, giv en the hurdles faced by intended parents, some intended parents have chosen international surrogacy as an alternative. There are multiple reasons why they have chosen to do this, including the difficulties cited above. Such a decision must not be taken lightly. The Surrogacy Act 2010 has specific provisions that state entering into a commercial surrogacy arrangement is an offence that is punishable by way of a fine of up to $110,000 or up to 2 years imprisonment for an individual. The Surrogacy Act 2010 also says that it doesn’t matter where the commercial surrogacy arrangement is entered into – if you reside normally in New South Wales, you become subject to the Surrogacy Act 2010. There are also many other issues around International Surrogacy, such as citizenship of the child, recognition of parentage, birth certificate issues, and bringing back the child back to Australia. Because of the multiple issues, if you are an Intended Parent looking to enter into an International Surrogacy Arrangement, it is best that you seek legal advice before entering into such an arrangement. Our solicitors will give you frank advice about whether the arrangement offends the Surrogacy Act 2010 and about the other issues that you may face.